Sikan is a two-tower play environment with a floor height of 90 cm and non-slip steps, which means that children as young as two can join in the fun. From the first tower, there is access to the slide. If you are a bit more daring, balancing your way across the swinging suspension bridge provides access to the crow’s nest and the moveable telescope. LEDON Explore has several different kinds of suspension bridges for various age groups. 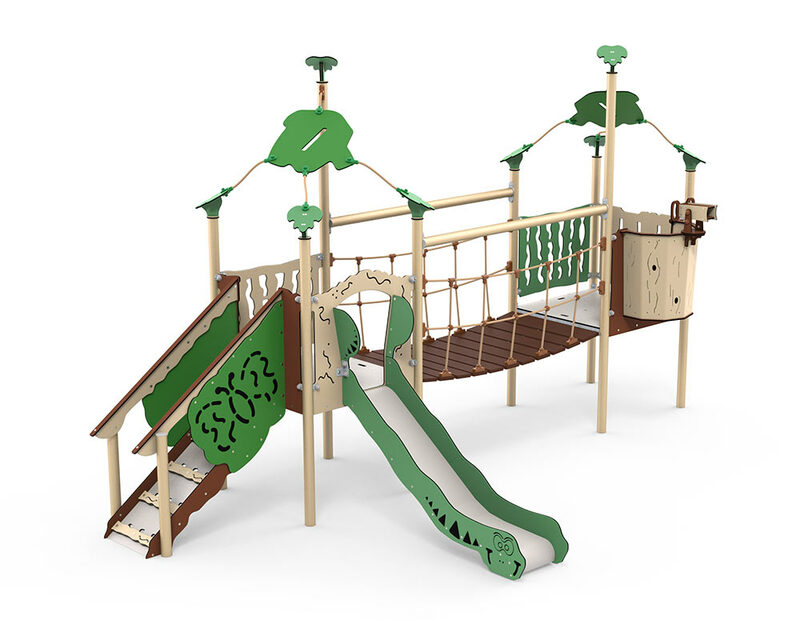 The Sikan play system is designed to accommodate the youngest age groups. Therefore, the suspension bridge is designed with a firm floor, so that the bridge can move slightly while the children still have a solid foothold.